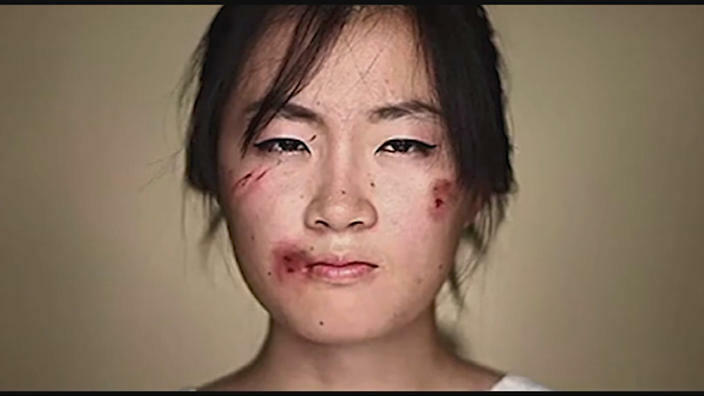 China’s very first law regarding domestic violence took effect at the beginning of this month. The landmark legislation applies to married couples as well as non-marred co-habiting couples, and defines domestic violence for the first time. The law includes both physical and psychological abuse, is designed to encourage reporting and provides victims with more opportunities for legal action, including placing restraining orders. A Beijing women’s legal aid law firm has submitted a formal report pressing the Chinese government for more clarification on the country’s recently enacted domestic violence law. The new law was celebrated by women’s rights activists around the country, but many are critical of certain gaps and a lack of judicial clarity. Domestic violence survivor Gao Xiaojun celebrated the new law’s introduction. She was severely assaulted by her ex-husband and says she, like many Chinese women, initially blamed herself. “Many women believe that it is their own fault if their husbands fail to treat them properly, so they are often embarrassed to speak out… The first few times he abused me it wasn’t so severe. And although I was emotionally traumatised, he showed remorse, and as women are by nature meant to be more kind and gentle, I forgave him,” says Gao. Today Gao campaigns against domestic violence, trying to change perceptions so in future victims don’t remain silent as she did. “The traditional Chinese concept of mutual understanding and tolerance to preserve the family is, in a way, neglecting the suffering of women,” says Gao. Tingting Chen, women’s empowerment program officer at the Asia Foundation, says the law is a huge step forward in not only changing perceptions about domestic violence in China., but also providing practical support for victims. “Many still see domestic violence as a shame. Not just for the abuser, but even more so for the victim and the family,” says Chen. “Having this law will bring about more government and funding support to help institutions improve their capacity to help victims. Chen says the law will encourage reporting from not just the victims themselves, but those around them, as well as allow them to seek support such as temporary shelters. His team at Beijing’s Qianqian law firm have just submitted a report to the National People’s Congress asking the country’s leaders for urgent clarification. Some questions raised include details about the types of evidence that are required to prove incidents, as well as the distinction as to whether cases fall under criminal or civic courts.